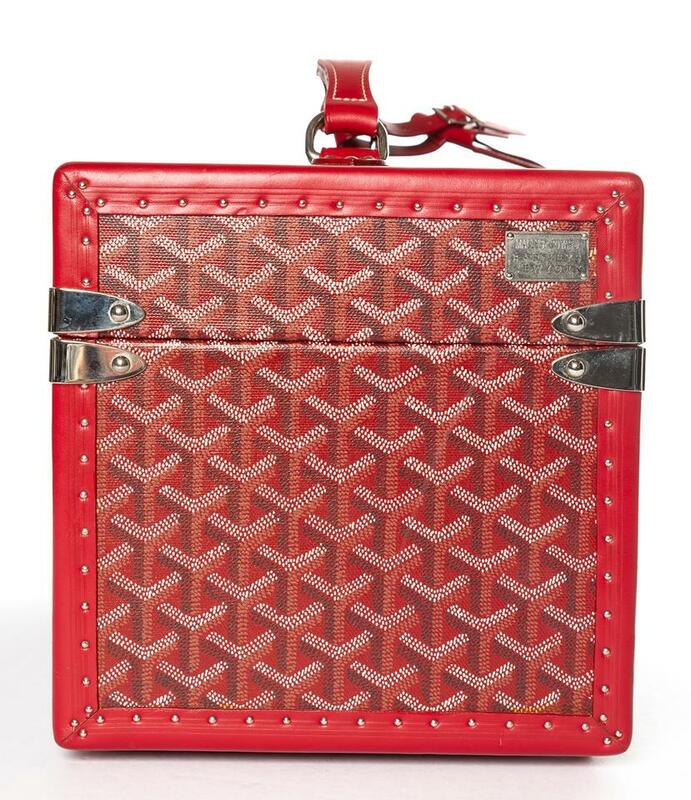 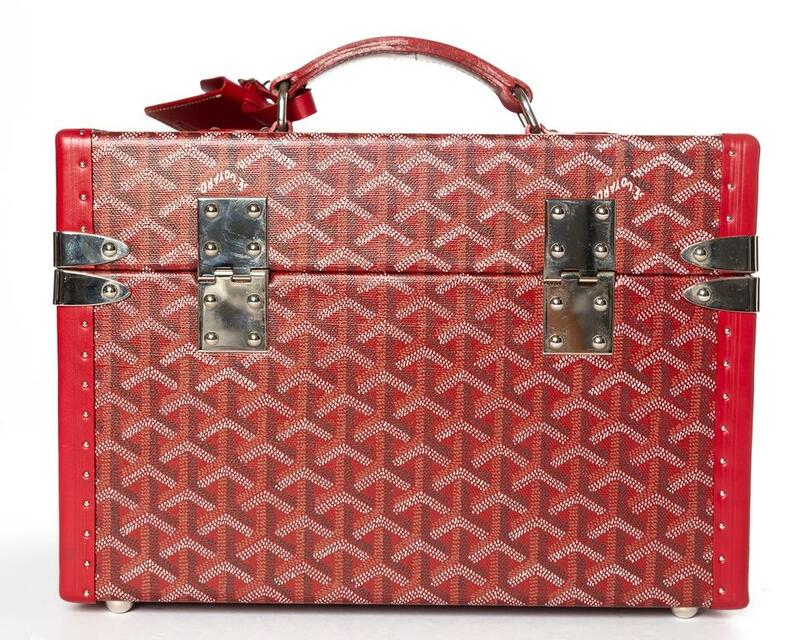 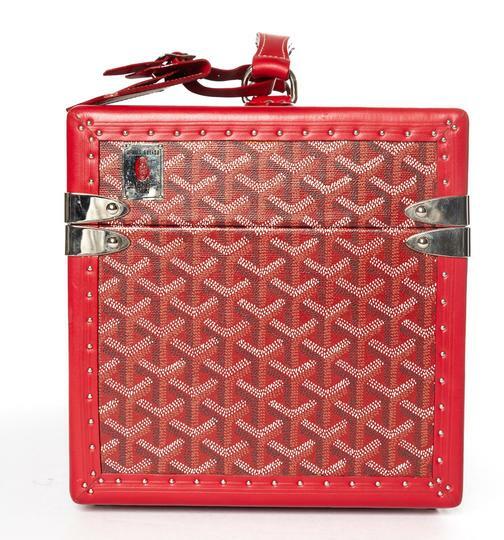 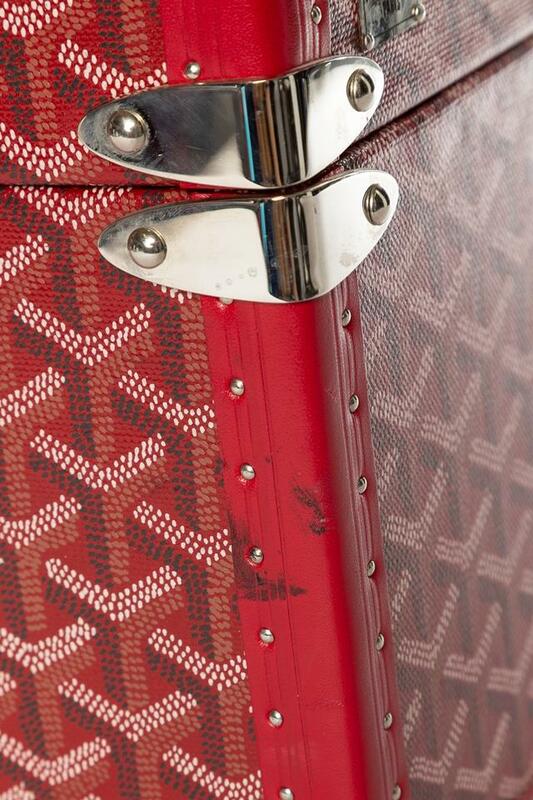 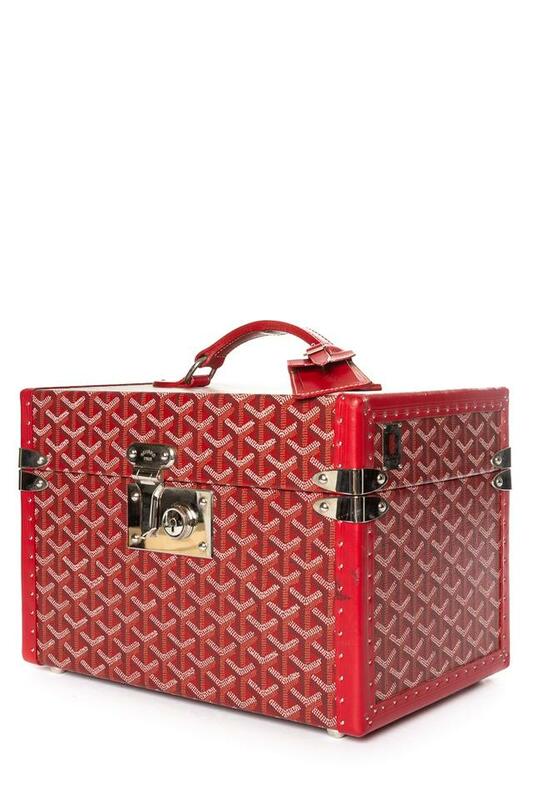 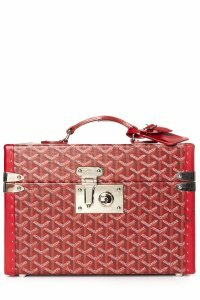 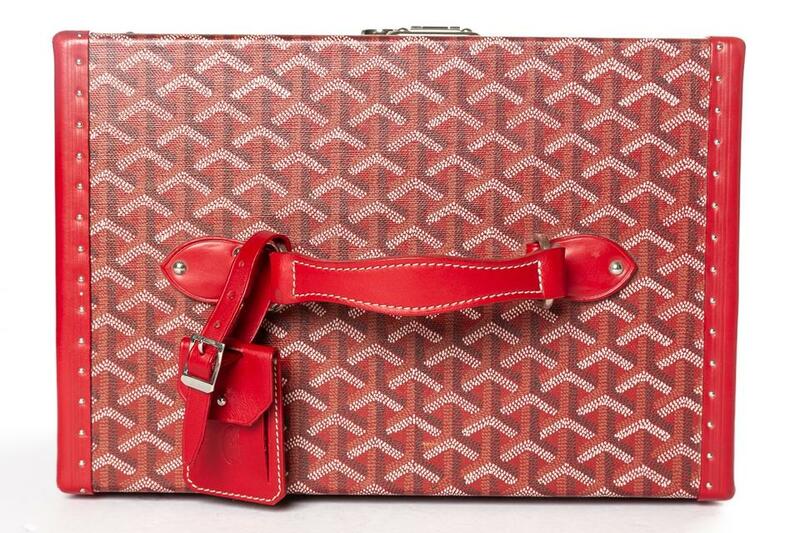 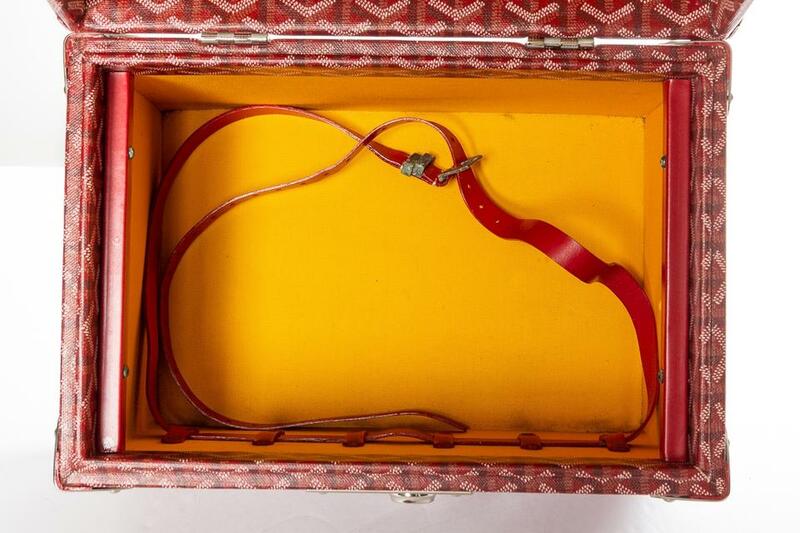 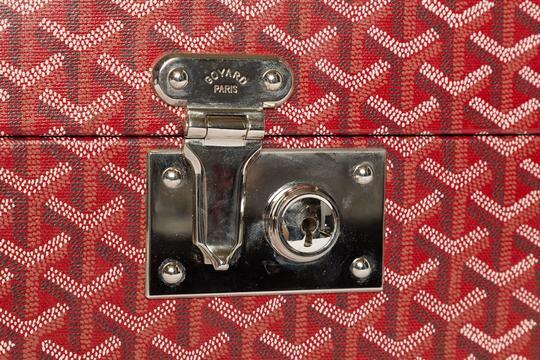 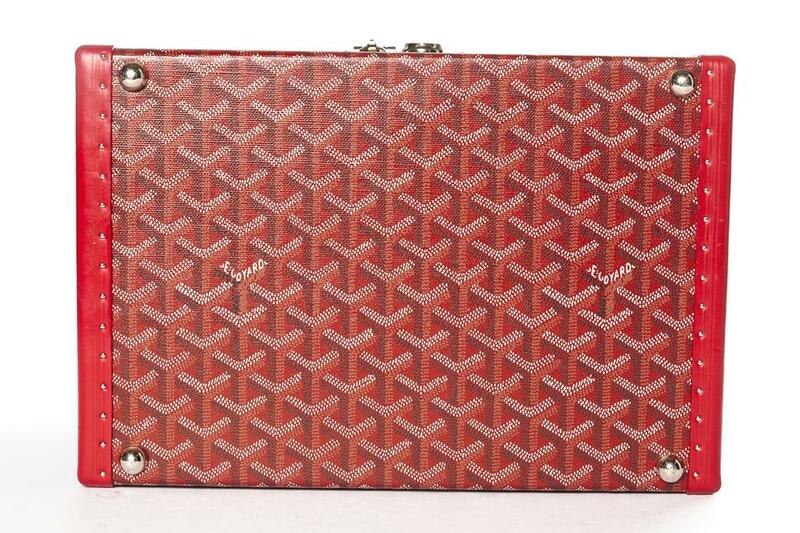 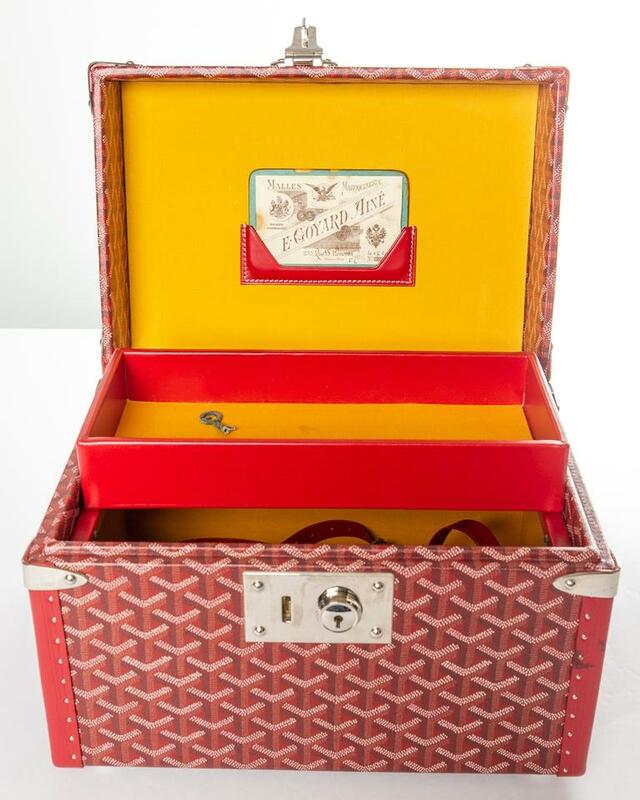 Goyard hand-painted Goyardine coated canvas Boite Cosmetique with palladium-plated hardware, red leather trim, single flat leather top handle, protective feet at base, marigold canvas interior lining, single removable tray at interior, card slot, single compression strap with cosmetic holders at interior wall and push-lock closure at front. 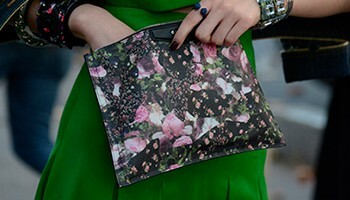 This item is previously worn and contains some signs of wear including exterior wear to leather, scuffing to hardware, interior wear and markings, and tarnishing to interior hardware. 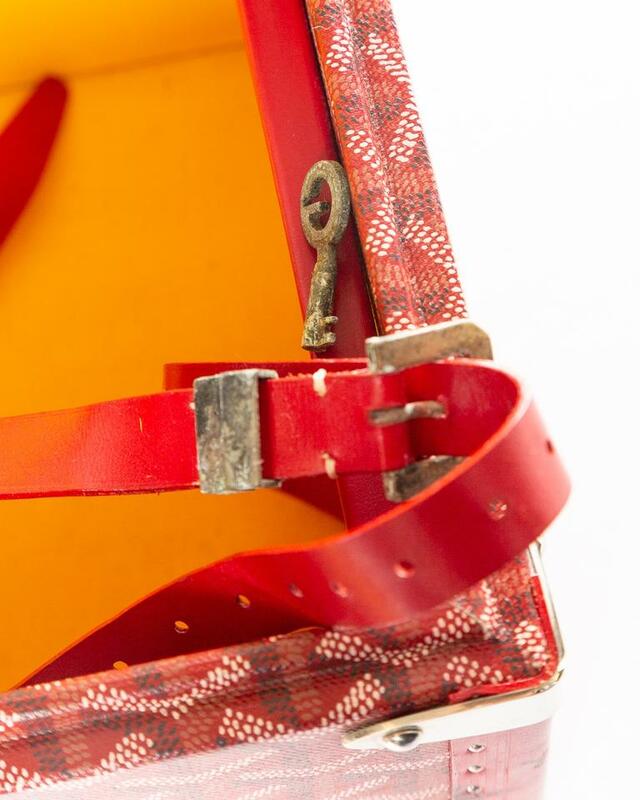 Good previously used condition consistent with medium use.